Good gracious! It’s MUTANT week here on The Frame Loop, and we’ll be sharing our favourite cultural texts exploring mutations of one sort or another. We’ve disclosed our favourite mutant-themed songs with our playlist; read on for our visual art picks. 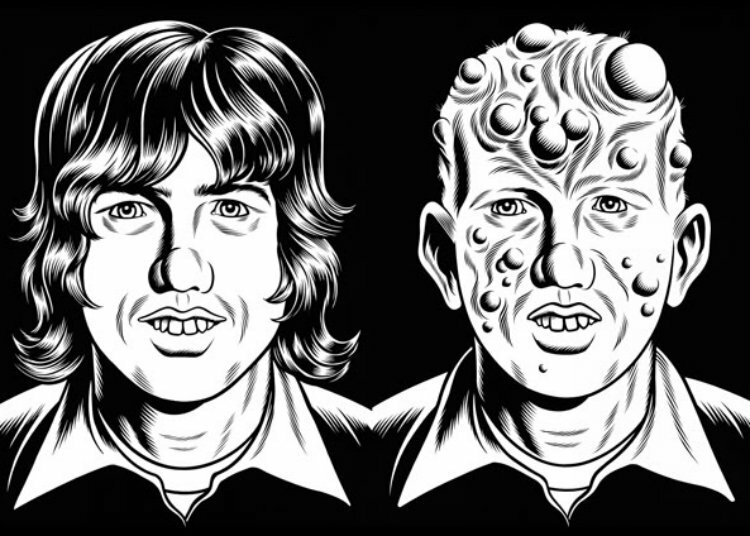 Black Hole is a graphic novel by American cartoonist Charles Burns which charts the impact of a sexually transmitted disease causing grotesque mutations in a growing web of promiscuous teenagers. The book is set in Seattle’s suburbs in the 70s as the ‘Teen Plague’ causes tails, extreme neck goitres and other odd torso-malfunctions to sprout and render their hosts social outcasts. Burns’ artwork is striking, and the artist threads a horrific dread throughout the book’s narrative. Gabrielle Bell is a London-born, Brooklyn based cartoonist whose melancholic comics feature distinctly surreal narrative tropes. 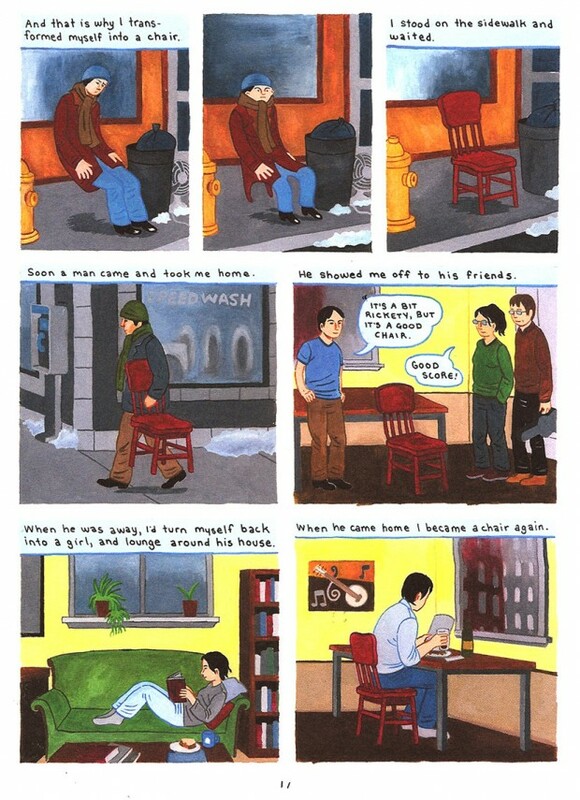 Cecil and Jordan in New York is an exemplary collection of graphic shorts, in which the under-appreciated Jordan is made to feel useless by her boyfriend Cecil stating that she has no interests or ambition. Desperate to make something of herself and perform some sort a function, Jordan morphs into a wooden chair, and soon finds a home where she feels valued. The graphic story was adapted by Michel Gondry as the opening short for the 2008 anthology film Tokyo! 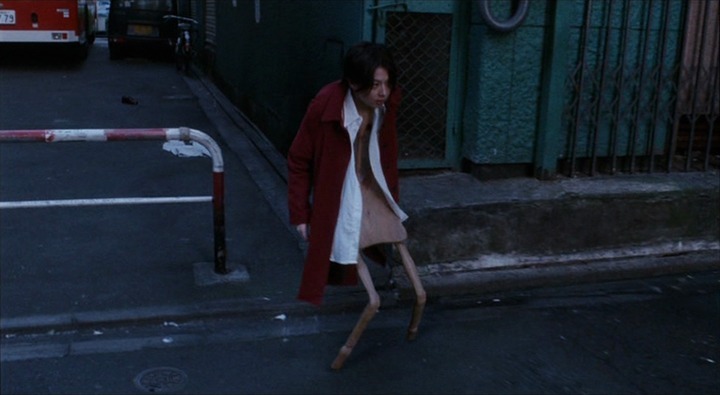 Check out a still featuring Ayako Fujitani mid-metamorphosis below. Mexican artist Jose Luis Cuevas drew a great deal of inspiration from the absurdist writings of Franz Kafka, and penned The World of Kafka and Cuevas, an illustrated exploration of the writer’s singular literary world, in 1959. 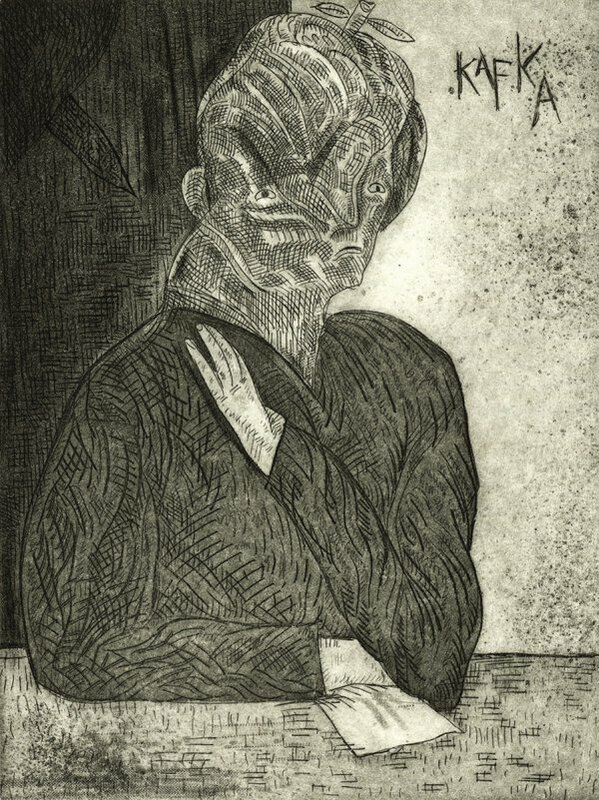 With this portrait, Cuevas draws on the tormented writer’s inner-conflict, as well as hinting at the bizarre mutations which afflict Gregor Samsa in the author’s short story Metamorphosis. Mutations are, of course, the making of many a superhero. 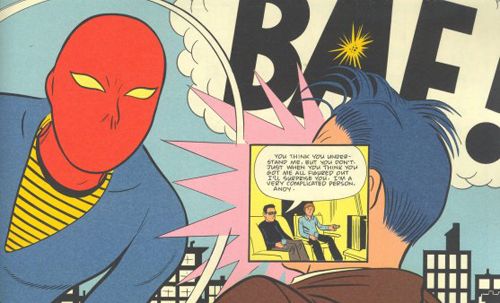 King of alternative cartooning Daniel Clowes threw his hat into the caped ring with his take on the genre in 2011, in which a troubled teen gains strange yet potent powers after drawing on a cigarette. The Death Ray is full of Clowe’s gape-worthy artistry and inimitable knack for design; not to mention its addictive and masterfully crafted narrative. Louise Zergeang Pomeroy is a London-based illustrator who cut her teeth at Kingston University before publishing a collection of illustrated short stories, I Married a Toyboy Convict, which nabbed a D&AD Best Newblood award. WerePoodle is a fine example of the artist’s visceral and highly memorable visual sense. What the heck have we missed? Let us know with a comment. This entry was posted in Art and tagged art, black out, charles burns, daniel clowes, franz kafka, gabrielle bell, illustration, jose luis cuevas, louise zergeang pomeroy, metamorphosis, mutant, rob fred parker, the death-ray, the frame loop, werepoodle. Bookmark the permalink.